In Paris, Illinois (population 8,500), we still had our small businesses (or mom and pop stores if you prefer) in the downtown area and frequently spent most of our available money there. However, sometimes my parents would opt for a family adventure by loading my brothers and I up in the old station wagon and visiting one of those malls. This event also included a family dinner at a restaurant which was a different experience in itself but never reached the quality of food that my mom fixed most every night at home. In the year’s since, cities small to large have struggled keeping the mom and pop stores alive and their downtown areas an attractive and integral part of the community. Some small businesses were able to survive, others were not. Downtown areas were lucky if they had 50 percent occupancy and the ripple effect of this downturn extended into neighborhoods throughout the community. Fortunately, that trend is changing. This is where the image of Eddie Albert in his business suit with a pitch fork in hand standing in front of an old farm house comes to mind. His need for green space convinced him that he needed to move to the “fresh air” of the country life. The need for green space, a more relaxed atmosphere, and a less hectic lifestyle is something that we all seek whether a business owner, a business professional, or just parents who want more for their family. Many city officials have realized that one key to the vitality of their community is downtown businesses and an area geared more for the pedestrian than the automobile. The decisions by these officials have opened up doors and possibilities that have seen small specialty shops and restaurants make a comeback. Muscatine is on the right track as the Riverside Park Master Plan update meeting on May 10 can attest. The energy and excitement of the presenters, the ideas from those in the audience, and the desire to connect the park physically and mentally to the downtown area makes perfect sense. The park is Muscatine’s front porch, the destination for many residents and visitors alike, and we must do all we can to enhance the green space, the pedestrian connection to downtown, and to create a positive environment for reinvestment in the downtown area. 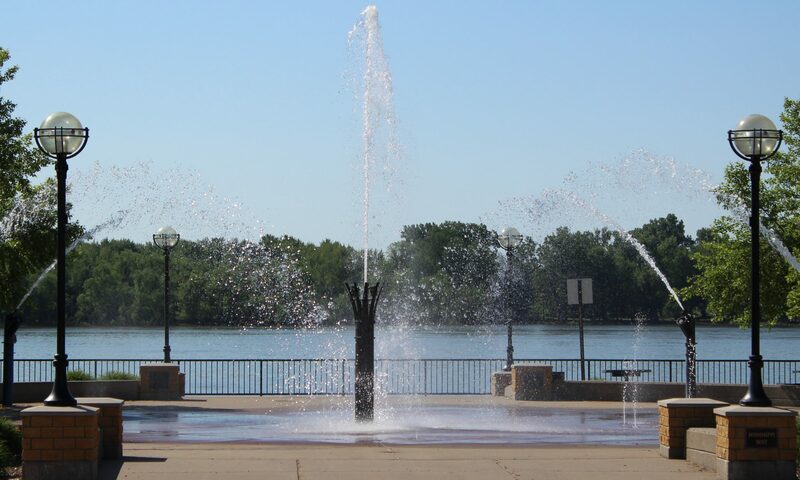 The continued development of Riverside Park along with the Mississippi Drive reconstruction project continue the idea of placemaking and enhance the pedestrian connection from the Mississippi River to the downtown area. Placemaking is the idea of creating spaces where anyone can feel comfortable and enjoy the space. Social interaction enhances our experience of the world around us, but that interaction cannot take place in the hustle and bustle of most urban environments. With the continued evolution of Riverside Park, the more pedestrian friendly Mississippi Drive corridor, and a yet to be determined upgrade to the amenities (plants, etc.) on 2nd Street, Muscatine is providing the space where people can congregate, enjoy nature, enjoy social interaction, and enjoy a historic downtown environment. Green spaces is the life for me … and you.